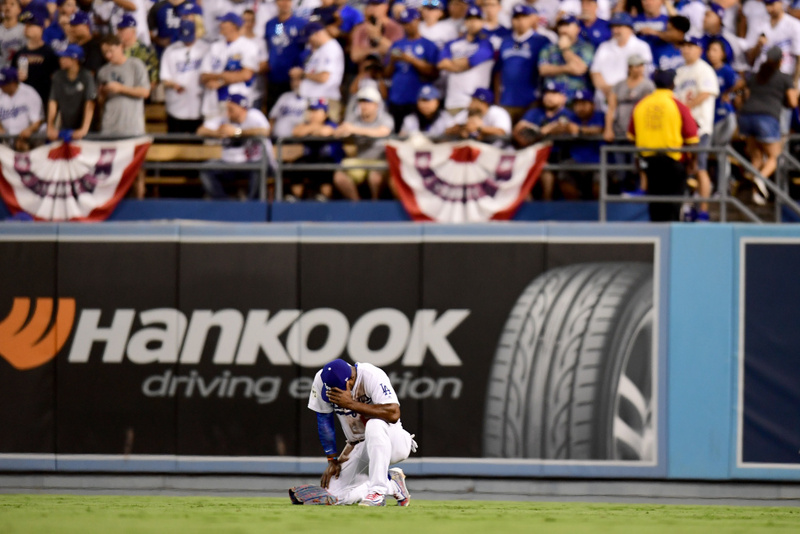 Yasiel Puig of the Los Angeles Dodgers reacts after he was unable to catch a ground rule double hit by Alex Bregman of the Houston Astros (not pictured) during the eighth inning in game two of the 2017 World Series at Dodger Stadium on Oct. 25, 2017 in Los Angeles, California. 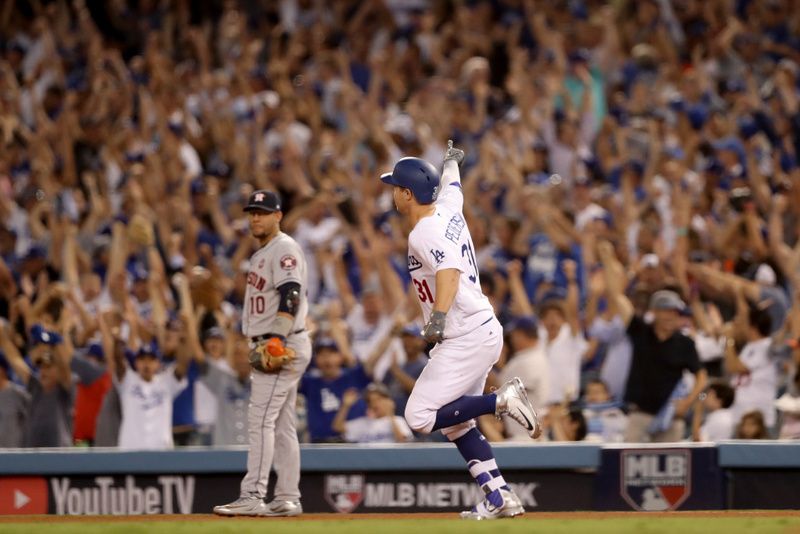 Los Angeles Dodgers' Joc Pederson runs the bases after hitting a solo home run during the fifth inning in game two of the 2017 World Series. 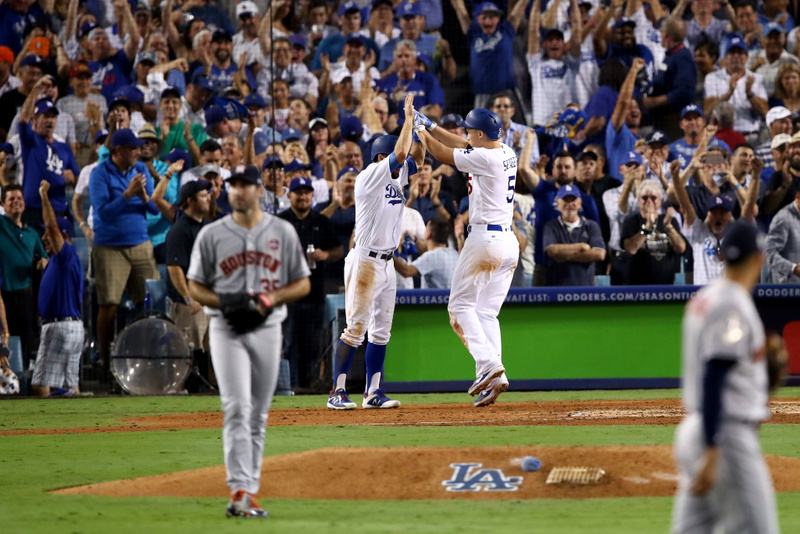 Los Angeles Dodgers' Corey Seager celebrates with Chris Taylor after hitting a two-run home run during the sixth inning against the Houston Astros. 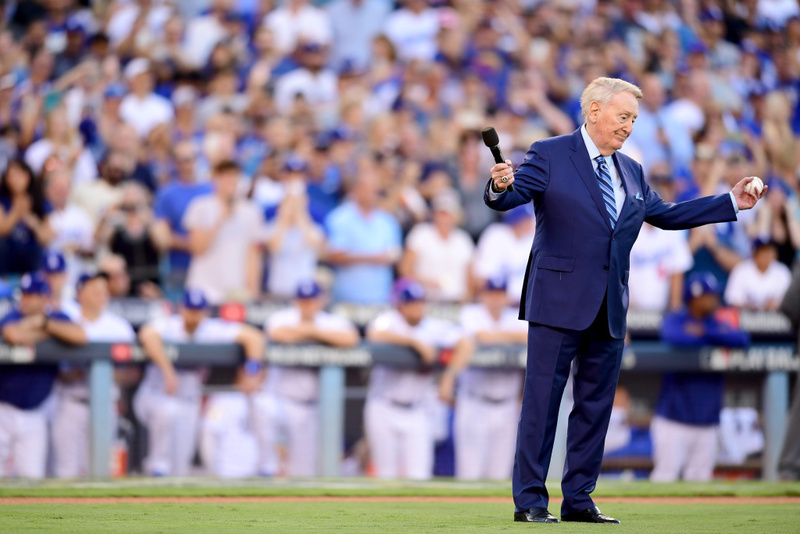 Former Los Angeles Dodgers broadcaster Vin Scully addresses fans before game two of the 2017 World Series. 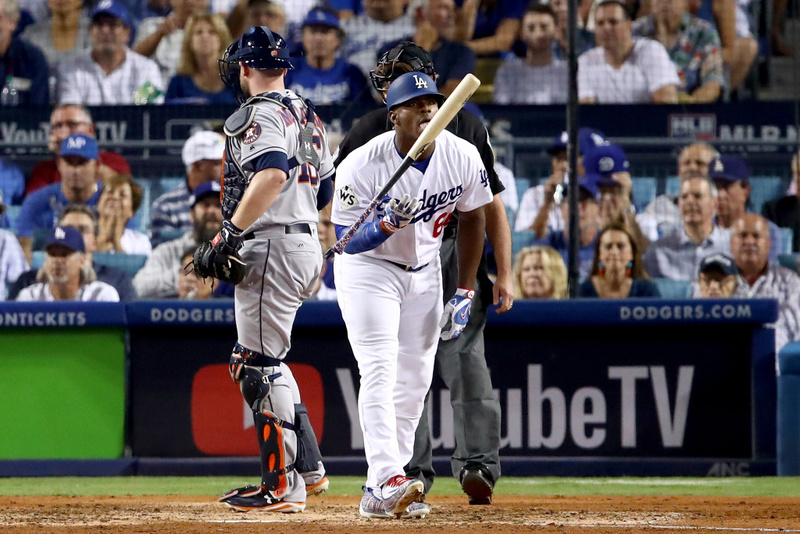 Yasiel Puig of the Los Angeles Dodgers licks his bat during the seventh inning against the Houston Astros. 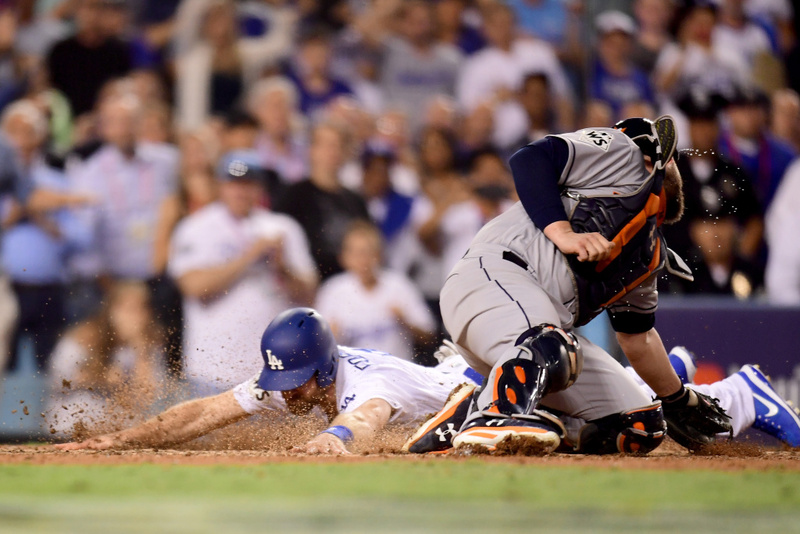 Logan Forsythe of the Los Angeles Dodgers scores a run on a RBI single hit by Enrique Hernandez (not pictured) to tie the game 5-5 during the tenth inning. 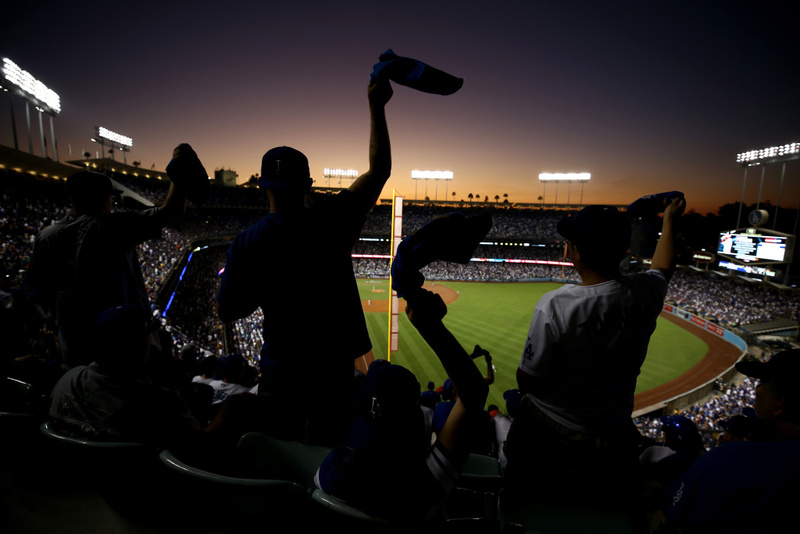 Fans wave towels during game two of the 2017 World Series between the Houston Astros and the Los Angeles Dodgers at Dodger Stadium on Oct. 25, 2017 in Los Angeles, California.